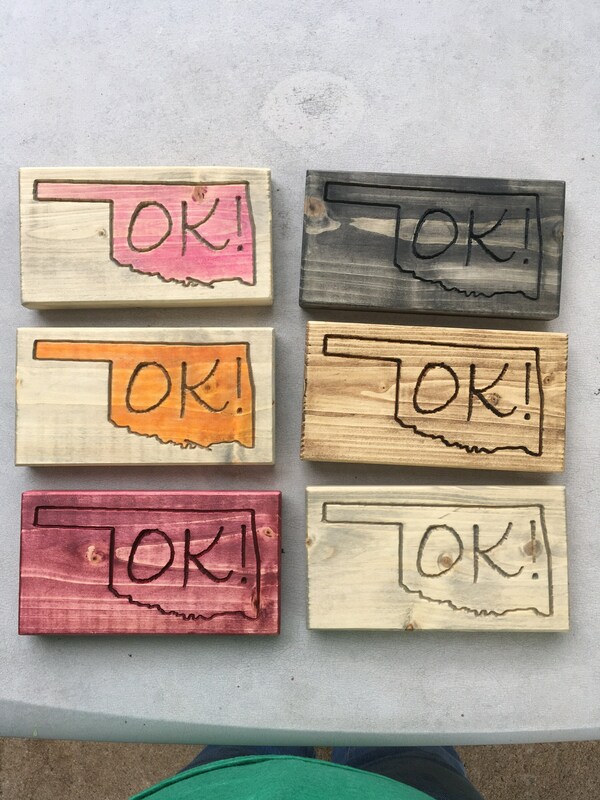 4" by about 6" pine wood with the outline of Oklahoma and "OK!" inside of it. Many colors/combinations available. Colors made with stains and pastels. Signs colored with pastels are sprayed with shellac to protect the pastel. The back of the signs have a keyhole slot for hanging on a nail, as well as a dowel rod in a slot -- dowel rod can be removed from slot and inserted into hole that allows for tabletop display.